The search for two displaced manatee in the waters surrounding St. Croix continued this week, with boaters and snorkelers sending in reports that they’ve sighted one or the other of the mammals in Sugar Bay and East of Punnett Bay. The most recent report sighted them in Altona Lagoon on Thursday. Tony Mignucci of the Puerto Rico Manatee Conservation Center and his team have been scouring the waters for the pair since the first alert was put out by the Friends of the Park on May 9. 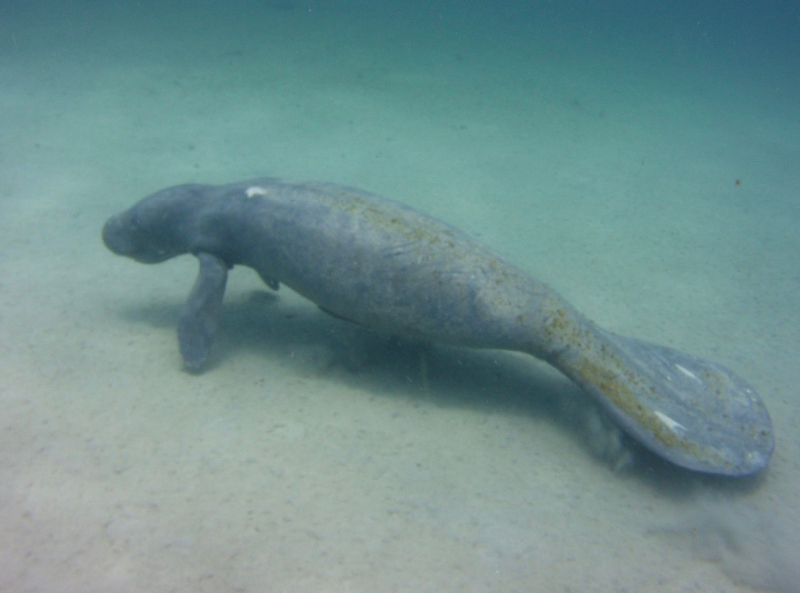 Based on the state of emaciation seen in photographs of the manatee, Mignucci theorized that they were were displaced during the 2017 hurricane season, and their likely place of origin is Puerto Rico, as that is the location of the closest population of manatee. Last week his team conducted aerial surveys from private aircraft, but the manatee did not turn up. They now conduct searches by boat after reports are sent in. “We are relying on reports from the public. After we receive them, we investigate the area and assess whether we are capable of catching them, then transporting them back to Puerto Rico” explained Mignucci. “We need people to report any sightings to the National Park Service. We can work from there,” Mignucci continued. Additional manatee sightings can be reported to the National Park Service in St. Croix or to @manatipr.org on Facebook.